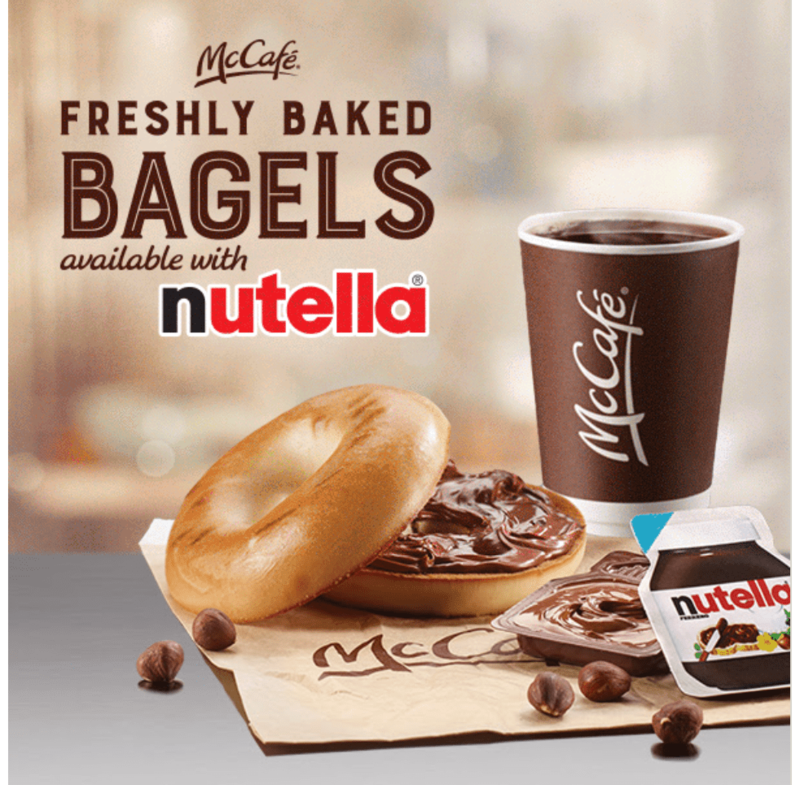 Bagel with Nutella is here at McDonald’s Canada’s! Right now, grab a delicious toasted McCafe freshly baked bagel with Nutella for just $1.29 plus tax. Offer available until March 17 2019 only with My McD’s app. 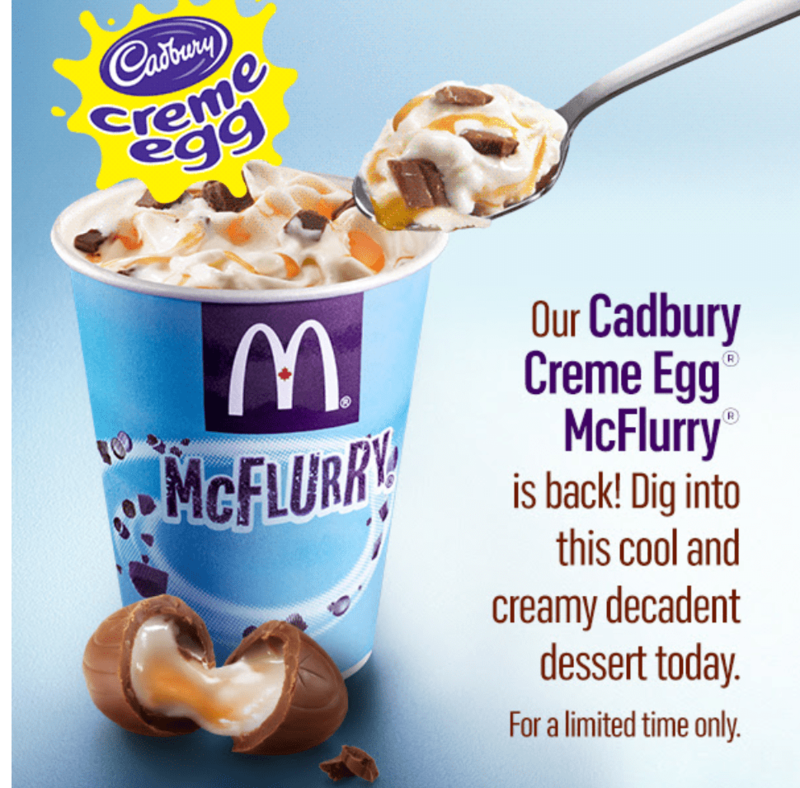 Also, McDonald’s Cadbury Creme Egg McFlurry is back for a limited time only. Dig into this cool and creamy decadent today!